Parrott's founder John Lawson Parrott was the son of James and Harriet (Dennard) Parrott. His paternal grandfather came from France and settled in Washington County, Georgia in the late 1700s. James and Harriet were both born in Washington County - James Parrott in 1795 and Harriet Dennard in 1800. The Parrotts and the Dennards moved to Twiggs County while their children were still young and James and Harriet married there in 1828. James and Harriet had eight children: Lucinda (married Samuel Stokes of Terrell County); Mary Ann of Parrott; John Lawson of Parrott; Louisa Virginia (married L. M. Jumper of Parrott); Benjamin (died at the age of eighteen); Augustus (served in the Thirty-first Georgia regiment and was last seen in Point Lookout prison in Maryland); Martha Alice (married John Dudley Whaley of Parrott); and Harriet of Parrott. In 1834 James purchased 815 acres of land in what was then Randolph County and was called by the Indian village name Chenube. John Lawson was born in 1838 and raised in what is now Parrott and attended school in the county. He began farming at the age of nineteen and when the War Between the States began in 1861 he enlisted in Company K, Seventeenth Georgia regiment. He participated in many battles, including second Manassas, seven days' fight around Richmond, Sharpsburg, Gettysburg, Fredericksburg, Wilderness, Cold Harbor, and Petersburg, and received two flesh wounds. At the end of the war he returned to his farm in Parrott and became financially vested in other enterprises. When James died in 1865 and Harriet passed away in 1888, John Lawson Parrott inherited the land. In 1889, about a year before the Columbus Southern railroad was build from Columbus to Albany, John Lawson laid out the town of Parrott. The post office, which had been called "Chenuba" was changed to Parrott. The city limits of the town encompassed an area of one mile in diameter and contained a high school, Methodist and Missionary Baptist church, seven stores, two ginneries, a planing mill, grist mill, hotel and livery stable. 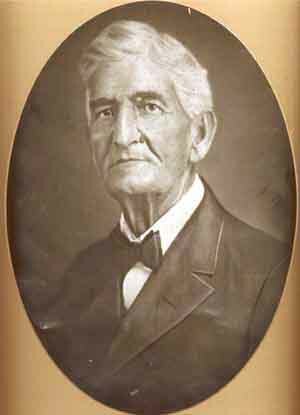 Mr. Parrott became the town's first mayor and was in office until 1904. In December of 1889 the first scheduled passenger train ran through Parrott. The first bank was organized by Mr. Parrott and C. F. Oxford in 1906. The Planters Bank was founded in 1912, with J. W. Tilley as president and Marvin D. Pierce as cashier. When J. W. Tilley died the bank was liquidated. Two years later Marvin D. Pierce opened the Pierce Exchange Bank which operated until the Great Depression. I have been told that he was the smartest man who ever lived in Parrott. I was also told that he was the first millionaire in Georgia south of Macon. Daddy said that he could tell by Mr. Tilley's action (as he walked to work each morning) if the stock market was going up or down that day. If Mr. Tilley was swinging his walking stick and talking to everybody then the market was going up that day, but if he had the crook of his cane hooked around his head, looking down and speaking to no one, then the market was going down that day. The town grew and other businesses opened. Curt Wright and Jim Foreman had a general merchandising store; A. J. Lee and his sons ran a large general store; A. J. Anthony opened a hardware store; Howard L. Arnold operated a drug store; and Dr. J. T. Arnold practiced medicine. Parrott prospered in its first fifty years; it was said that there were more millionaires per capita in Parrott than anywhere else in the state. Welcome to historic Parrott, Georgia...population 158. Parrott is located in Terrell County on Highway 520 between Columbus and Albany. It is 13 miles from Plains, 9 miles from Dawson, 23 miles from Americus, 27 miles from Albany, and 53 miles from Columbus. Parrott is on the National Register of Historic Places.